This thread is dedicated to the one and only Wilhelm Richard Wagner (1813-1883), my favorite composer, who incited my lifelong passion for classical music. My first Wagner recording was a collection of overtures in a Laserlight Masters of Classical Music set, my first classical CDs ever. At turns, it represented the utmost joy, despair, and passion, love at first sight for me. At 13, I came across Der Ring des Nibelungen (the Ring cycle) broadcast on TV and was spellbound. It was overwhelming that someone could create such a thing, as if it had dropped down from another planet fully formed. Soon I was checking out librettos and biographies from the library, and dreamed of visiting the real Valhalla of Bayreuth (pronounced "Bai-royt") - I had become a full-fledged Wagnerite. Each successive work I heard cemented my affection. His sheer ambition was awe-inspiring, shown in the grand scale of his works and the concepts of Gesamtkunstwerk and the Bayreuth Festspielhaus. He's certainly a polarizing figure biographically, but I find his scandalous life and writings very interesting. Shocking at times, though personally I separate the man from the music. The effect he left on those who came after him is indelible. Though I have gravitated toward modern music in recent years, I come back to his music again and again, and it never fails to transport me. Not necessarily the greatest composer, but to me, the one whose work most sings to my soul. Welcome all Wagner lovers to the Valhalla! Of course, Wagner himself called it the Liebestod und Verklarung. I suspect that term will never return to use, though, even though it makes vastly more sense (since when does a Love-Death sound consoling?). I am trying very hard to get tickets to see the Ring Cycle which will be performed in its entirety in London this fall. Tickets went on sale last November and have been sold out since ! The Ring, but assuming that the inspiration is not always at its best. And ... sorry, but I don't like much Tannhäuser. But Val the overture to Tannhausser is among the most beautiful peices of music I have ever heard. Granted Tannhauser is hardly Wagner's best opera but it has very fine moments indeed. I have Solti's Tannhauser and love it very much, which recording do you have? I also have the Solti version. I must aedmit that the overture is far from being one of my favorites. To me the best moment of the opera is Tannhäuser's monologue of the 3rd act, "Inbrunst im Herzen". I have it in a superb version of Lauritz Melchior, the best tenor in Wagner that I ever heard. I also discovered him when I was a teenager. I think it was Bernstein who said that Tristan und Isolde was "the central work of all music history, the hub of the wheel...". Personally, I adore Tristan - just listening to it is one of the best musical experiences of my life. Is it as important as Berstein thought? I too love Tristan und Isolde, it is a real masterpiece demostrating Wagner's hypnotic power. It is a very significant piece of work because of the Tristan chord which ushered in atonality in music and paved the way for Shoenberg and Alban Berg, It is easily the most ultra-romantic opera ever written. Whether it is the central work of all music history or not I do not know, but it ranks right up there with Wagner's Ring and Bach's St. Mathew Passion, Beethoven's Nine Symphonies and Mozart's Paino Concertos as a contender for the title.......Tristan will always remain my favorite opera. I discovered Tristan also when I was the same age as Don Giovanni, and felt the same way about it. I still do! Tristan's Prelude & Liebestod, a textbook example of building unresolved tension into a mindblowing release, holds a very special place, considered as one of the greatest moments in all music to me. You'll come to know and recognize the "Tristan chord", and recognize that famous first statement of a sixth and two half-steps, they can be spotted making appearances in later' composers works. In just a couple of weeks in Houston, I'll be going to an all-Wagner concert and I'm so excited! They just posted the program and I'm most looking forward to hearing several selections from Lohengrin, and especially Die Meistersinger, both of which I have never heard live. No Tristan this time though. But the Der Fliegende Hollander overture more than makes up for it! I have the Bohm recording which I adore. Was inititated into the Ring cycle last week, and am watching it in its entirety again this week (Levine's Met DVD). Prior to this, I was mostly familiar with Tristan und Isolde, as well as the "hits" (you know!). 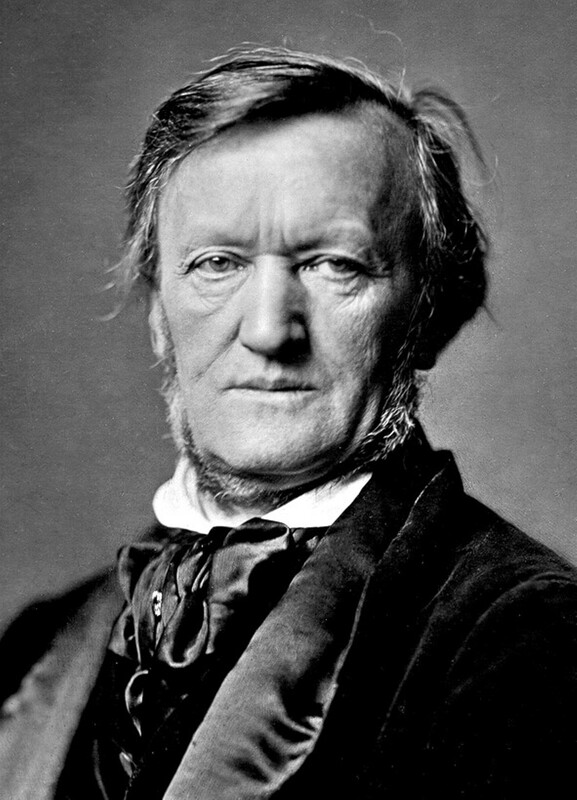 The "Ring..." is a stunning victory of Art, in my opinion, as is Tristan...Wagner is one of my favorite composers. I am glad that you have added Wagner to your list of favorite composers. Haffner you should definitely check out Meistersingers von Nurnberg and Parsifal both superb operas and not to be missed. The overture of Meistersingers always lifts my spirits and MY God the congregation chorus at the beginning of that opera.....I shouldn't say any more or I'll ruin it for you . PS: Two days ago I ordered the Levine Ring Cycle DVD and I can't wait to see it. I'm hoping to score the Gotz Friedrich "Lohengrin" dvd soon. The Levine dvd is just fine. The final chapter, Gotterdamerung, is at times exceptionally moving and epic. I can't say I'm totally wild about Siegfried Jersusalem's stage performance skills, but otherwise this rendition has really helped me get deeper into Wagner's music. The work as a whole portrays the result of an extraordinarily protracted effort of focused genius. It seemed to showcase exactly where Central European culture tends to go, art reflecting life...and pushed it further. Watching the Ring was very much what many today would could my "vista-expanding" experience. I'm new to this board and glad to discover a page devoted to my favorite composer. At the relatively old age of about 60, seven years ago, after a lifetime of listening spent mostly with Bach, Beethoven and Brahms, Wagner suddenly hit me with force of a lightning bolt. I reeled with ecstasy as I devoured recordings of his operas one after another. Tristan, in the famous Bohm version, had me in thrall for several weeks during which I ate, drank and breathed nothing else, even listening to it on a CD Walkman on the elliptical trainer at the gym, turning the volume higher to drown out the rap and rock music on the speakers. My wife thought I had gone insane, as for months I would speak of nothing but Wagner. This extreme and crazy obsessiveness has settled down to steady love. I still think of him as the greatest musician in history, with the power to radically revitalize a person's existence. Two orchestral passages from The Ring are my current favorites: Wotan's Farewell to Brunnehilde, and Siegfried's Funeral Music. What irony that an opera composer should revolutionize the symphony, both orchestra and form, as well as the opera. Who else could do it? Who else can cause the heart to leap with joy as high, explore depths as hidden, wrench the emotions almost out of their moorings? The Funeral Music: the most powerful of movements ever, or at least equal to the most powerful. I get chills down my back just writing about it. Next to this, most other music is "mere;" prelude or postlude. Its GREAT to have another Wagner fan join GMG, WELCOME chaszz. Its never too late to enjoy Wagner's operas (muisc dramas) nor too early (I fell in love with his music at the age of 32). Seigfreid's FUNERAL MARCH is truelly one of the major highlights of the Ring Cycle just like Wotan's Farewell to Brunnehilde. I also love the heroic music of Seigfreid's sword forging scene, the three question exchange between Mime and Wotan as well as the Reinmaden's Rheingold leitmotif. Like you Wagner's music moves me more more than the music of any other composer. Tristan und Isolde is my favorite opera. ACT 3 of that opera is the most emotional music I have ever heard. Thank you for your warm welcome, Marvin. I look forward to many exchanges on the subject of the man who is in my opinion not only the greatest musician in history, but a fair bidder for the title of the greatest artist in any medium in history. Tristan is also my favorite opera; for me it is the long love duet in Act II, combined with the 'Liebestod' closing the opera which is its natural sequel, that counts as my deepest thrill in this amazing work, which the Master tossed off while resting in the middle of composing The Ring, as a relative trifle, easy to mount and perform(! ), to earn some money! And also of course to express and immortalize his longing for his adulterous lover Mathilde Weisndonck. And in the process backhandedly began the concept of expanded tonality which utterly changed music, and which concept he never at all mentioned, not even once, in his long voluminous bookshelf of prose writings on music and nearly every other subject! And which opera killed the first tenor who sang it! You couldn't make this stuff up! One question: why is Verdi your avatar? Thank you for your warm welcome, Marvin. I look forward to many exchanges on the subject of the man who is in my opinion not only the greatest musician in history, but a fair bidder for the title of greatest artist in history.